Sleeveless Lace Bodice Evening Dress | Sung Boutique L.A. 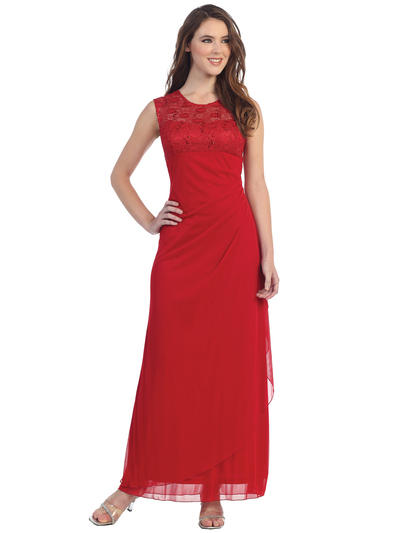 This evening dress features sleeveless round neck lace top. Shirred waist and layered A-line silhouette adds to the style.